The part of arm between elbow and wrist is known as forearm which is a structure and distal region. This part is completely covered with skin and the posterior surface is normally hairier than the anterior surface. This body part has 2 bones which are called radius & ulna. Ulna is found on the side of forearm near little finger while the radius is found on the side near the thumb. Both bones are long and connected with interosseous membrane to form radioulnar joint. These bones are spiraled over by each other such as the ulna, which is comparatively a longer bone, is spiraled over by the other bone radius which is smaller. Radius and ulna are the only bones which spiral over each other. 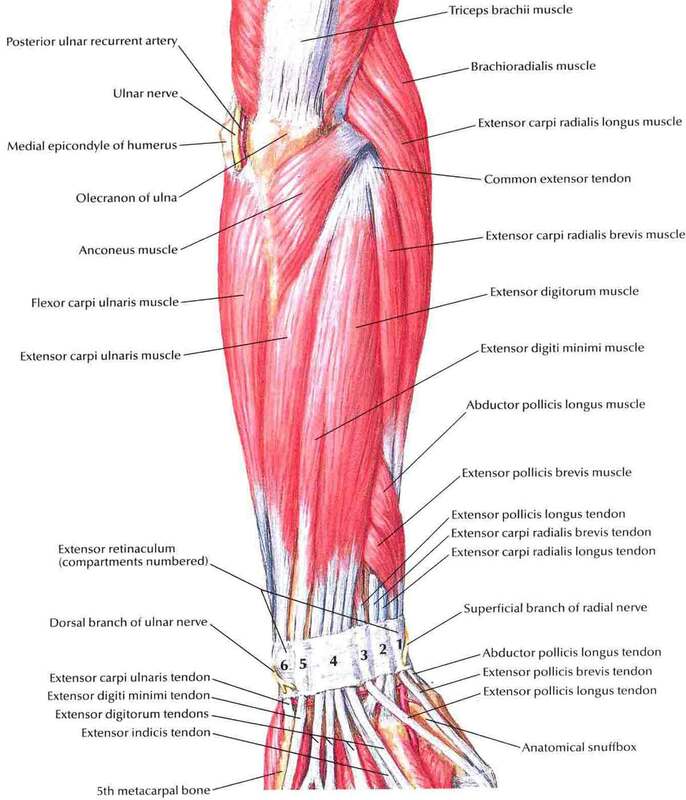 There are various types of muscles in forearm, but two of the most important ones are flexors and extensors of the digits. These muscles work for elbow joints, wrist joints and digits and can be divided into extensor-supinator and flexor-pronator groups. The humerus has lateral and medial epicondyles from which both the groups of muscles arise. The first comes from lateral while the other comes from medial epicondyle of the humerus. The deep layer is kept separated from the other layers with the help of a septum of deep fascia. Moreover, it is also important to know that the most or almost all of the flexor tendons are put in a place with the help of flexor retinaculum. The contraction is developed by the flexor muscles and the tendons are also forced to change the direction which results into improvement in muscles. The retinaculum also prevents tendons bow stringing. It is categorized into two fascial compartments in cross section. These compartments are known as posterior compartment and anterior compartment. The posterior contains hands extensors while the anterior contains flexors. 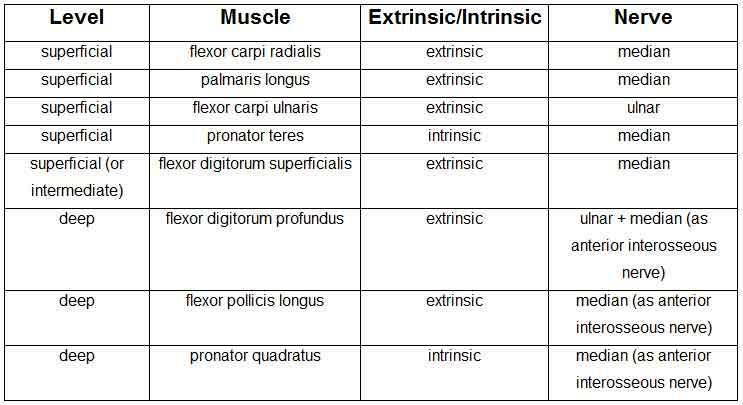 The detailed chart mentioned below is taken from Wikipedia, and hopefully it will help you clearly understand the posterior compartment. 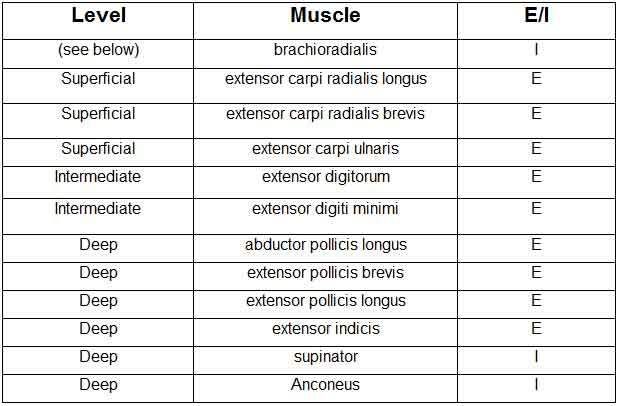 This is another chart to explain anterior compartment also taken from Wikipedia. It is one of the best compound exercises to work with your biceps as well as shoulders. This is for intermediate level and the equipment required is kettlebell. Another great exercise is finger furls which is quite simple to perform but creates lots of isolation. You will be using barbell to perform it. However, it is for the beginners. This is another great workout for you which basically aims to become strong like hulk. 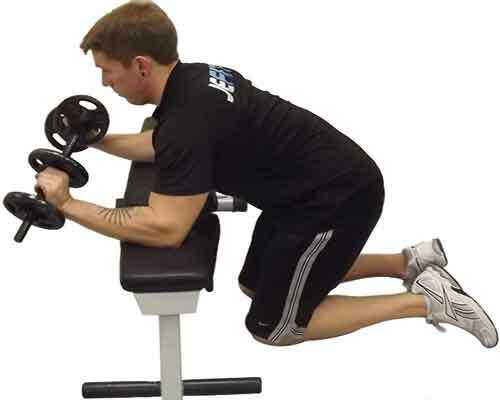 This works with various muscle groups such as quadriceps, hamstrings, abdominals, traps calves, glutes and lower back. It is considered for the beginners and it does not mean that it is not for intermediate or advanced levels. It is used to create great isolation in your forearm muscles. It is a strengthening workout and the equipment required to perform this exercise is barbell. Fracture is a serious condition and in most of the cases, it causes lots of pain for the sufferer, but there are some others symptoms too which may not be too much painful but will cause great difficulty and discomfort in performing daily routine activities. This kind of fracture is quite common in children. In case of complete fracture in radius or ulna, the greenstick fracture occurs. Here is a very important thing to keep in mind if your child has got this fracture. First and most important thing is that the bones of children heal more quickly than the adults which is good, but you must make sure that the bone is set in its proper place while the fracture is healing. The second important thing is to contact a good physical for seeking proper medical attention at the right time. Nightstick is the second type in which ulna gets fractured and this happens when your forearm gets a direct blow. Radial shaft or gallaeazzi fracture is an isolated type. The common cause of shaft fracture in adults is direct blow to the forearm and this type of injury usually requires having a surgical fixation. This is another isolated type which occurs in case there is an accidental breaking of ulna bone or dislocation of radial head. The main causes include falling on hand when it is outstretched and the forearm is in an excessive condition of pronation. It is thought that Monteggia fracture can be managed predictably in children with the help of closed reduction, but there is still a great risk of displacement which also causes malunion. In most of the cases, it has been observed that forearm fractures are caused by trauma, but there are still some other causes which also include certain type of health related conditions, growing age, poor nutrition, congenital bone conditions and participation in sports. As far as the treatment of fracture is concerned, it can be done once the severity is diagnosed.